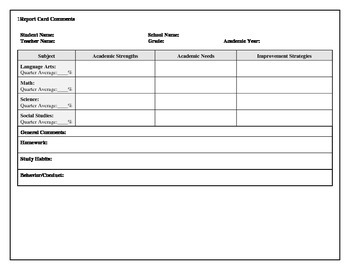 This form can be used as an insert for report cards. I've used it to give parents a better snapshot of their child's academic progress. This form is editable.